NCLEX Pass Rates: What's Your Chance Of Getting A Passing Score? When it comes to the NCLEX pass rates, you want to know your chances. You don’t want to waste hours looking up exam statistics and publications; you want a real-time fact sheet that completely outlines your chances for passing the NCLEX on the first try. This can help alleviate any anxiety, fear, and frustration you’re feeling as you prepare for the biggest exam of your life. See what parts of the exam are tripping up candidates the most you can adjust your test prep focus and avert those trouble areas. If it’s one section of the exam creating the most failing scores, you can concentrate your time in mastering that content more comprehensively. If it’s a lack of test taking skills you should adjust your review sessions and do more practice questions through a NCLEX RN review books. Let’s examine summary data for multiple categories of candidates – including first-timers and repeat takers – to better understand the NCLEX pass rate. In addition to analyzing these Nurse Licensure and NCLEX examination statistics, we will also explore how the passing standard is set. The Board of Registered Nursing (BRN) designed the NCLEX to ensure that a standard competence in nursing is in existence. With this as its mission, the NCLEX passing standard is determined by a minimum required level of competence. This is why the NCLEX exam is determined according to a “pass/fail” ratio, not a traditional test score. This is why NCLEX pass rates may appear to be extremely high at first. It’s important to remember that this doesn’t represent the average score; rather, it represents the quantity of test-takers who passed. NCLEX RN pass rates are also re-evaluated every three years as the nursing industry changes in standards and practices. The most recent evaluation occurred in December of 2012, where the passing standard was changed from -0.37 logits to -0.0 logits. NCLEX pass rate information for first-time U.S. educated test-takers is promising. From January 1 – March 31, 2010, 35,257 first-time U.S. educated test-takers took the NCLEX-RN examination, with a total of 31,701 passing for a pass rate of 89.9%. From April 1 – June 30, 2010, 40,250 first-time U.S. educated test-takers took the exam. 36,339 passed for a total pass rate of 90.3%. That number dropped between July 1 – September 30, 2010, with only 84% of test-takers passing. The trend continues from October 1, 2010 – December 31, 2010, with only 81.7% total test-takers achieving the pass rate. If you want to up your odds of passing on the first try, aim to take the test in the early spring months. Repeat test-takers who were educated in the United States achieved the following pass rates: 54.8% between January and March, 49% between April and June, 56.6% between July and September, and 57.3% between October and December. Licensure examination results reveal that first-time international test-takers are at a disadvantage, with an average pass rate of about 44% between January and March, 38.4% between April and June, 35% between July and September, and 34% between October and December. International students who repeated the NCLEX exam saw a further reduction in their pass rates: 25.7% between January and March, 18.9% between April and June, 19.3% between July and September, and 19.2% between October and December. The NCLEX exam publications reveal that the odds for first-time test-takers educated in the United States are overwhelmingly in their favor. Therefore, don’t assume that your first time taking the exam will be your worst. According to results of all graduates who have taken the NCLEX examination for the first time within the last five years, chances are extremely good that you’ll pass. 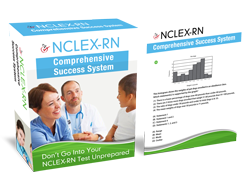 See: NCLEX-RN Exam Practice Help right now.